This is a list of English-language hymns and songs which may be suitable for baptism (christening) ceremonies in more-traditional (ie liturgical) churches. Most are free-to-use, ie public domain or copyright-free, meaning the words can be copied and sung to at least one tune with no concerns about copyright or performance licensing. 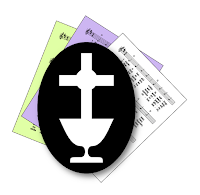 But a small selection of hymns that are still copyright, but especially suitable for baptism, is also included. In some cultures, this hymn is strongly associated with funerals. Nevertheless, the lyrics are appropirate for baptism. To be a Pilgrim. (He who would valiant be). You Have Called us by our Name - Bernadette Farrell.